Self-publishing has revolutionized the publishing industry. More and more writers, after unsuccessfully trying to break into traditional publishing, are turning to the bold new indie world—and some are even making self-publishing their first choice! 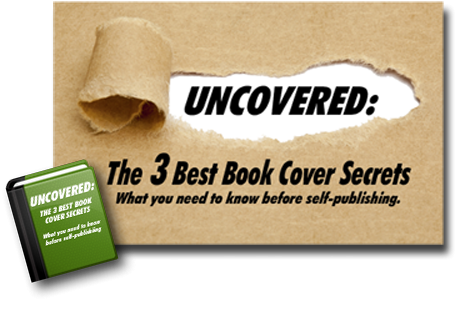 That means authors have to make hundreds of decisions about cover design, digital or print, keywords, categories, vendors, as well as manuscript formatting. Garnering feedback from trusted colleagues and/or content-editing professionals who may catch plot holes or inconsistencies. Having the manuscript professionally copyedited to catch grammatical mistakes, misspellings, capitalization mistakes, continuity issues, repetition or overuse of words, etc. A final proofread by someone who hasn’t read it before, to catch any last problems like missing periods, commas, etc. The first production decision self-published writers must make is whether they would like their books released in digital, print, or both formats, and where they’d like to see their books on sale. Some self-published writers choose to make their books available only in digital form at Amazon. Other self-published writers prefer to make their digital books available through additional vendors, such as Barnes & Noble’s Nook Press, Apple iBooks, or Kobo. Most writers will also make their books available in print form using print-on-demand technology through CreateSpace or other vendors. Authors will have to set up accounts with each of these vendors and add banking information so that they can be paid after the books are uploaded. After you’ve chosen the digital and print vendors you’d like, you must arrange for the manuscript to be correctly formatted for each. While each vendor accepts various file types, be sure you understand the pros and cons of each before making your decision. A cover serves two purposes: It reflects the content between the pages, and it’s a marketing tool to translate that message to targeted potential buyers. Choosing a fabulous, professional cover design is vital. Predesigned book covers are the least expensive way to go, but custom-designed covers are one of a kind. An ISBN (International Standard Book Number), used to track sales. Some self-published authors choose to stick only with a print ISBN given by CreateSpace and an “ASIN,” which is Amazon’s digital equivalent to an ISBN. If you intend to go wide on multiple vendors, consider getting your own ISBN. Description: Insert an exciting, back-blurb-like description that will show up on the vendor page. Keywords: A list of searchable terms that are relevant to your book. Categories: Pick the genre of your story using standard BISAC categories. Pricing: Choose your price wisely, considering each vendor’s royalty arrangements. Self-publishing your book will require careful attention to countless technical details—but you don’t have to do it all yourself. Help is available! Check out the many tiers of services offered by Self-Publishing Relief and get your book self-published in a professional and timely way. Question: Which stage of self-publishing do you think is the most difficult?